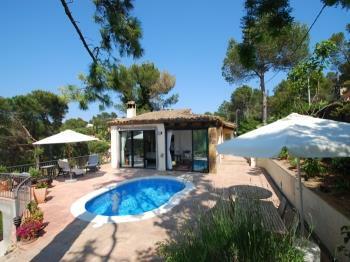 Great villa with private pool, located in Casa de Campo, Begur. 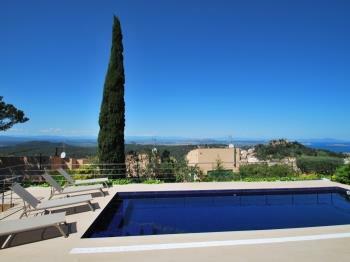 Exclusive house located in Aiguablava, with incredible views and two swimming pools, one private and one communal. 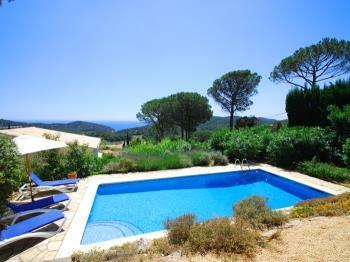 Great house Ibiza's style with a private pool and a splendid views. 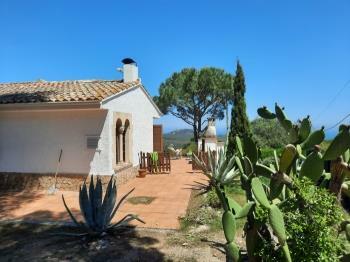 Beautiful and spacious typically Spanish house suitable for up to 10 people. 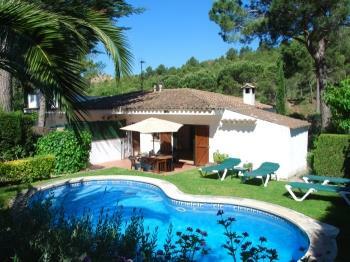 Nice property located to 1.5 km from Sa Riera beach. Practical apartment reformed with shared swimming pool. Modern villa with sea views and private pool. 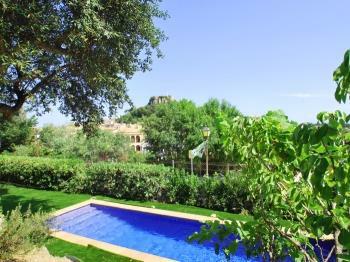 Magnificent villa with large garden and private swimming pool just 200 meters from the main square of Begur. Practical and centric apartment with communal pool. 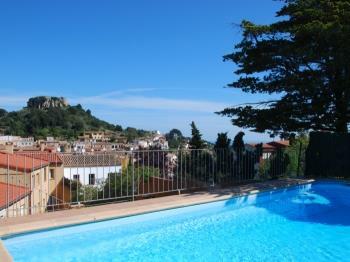 Modern town house, with private pool, just 500m from the old town of Begur. 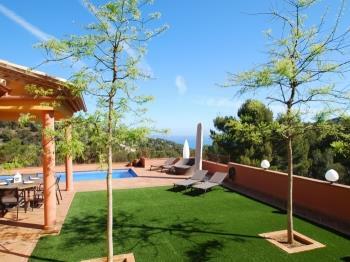 Gran xalet per a deu persones, amb piscina privada, agradable jardí i vistes al mar. 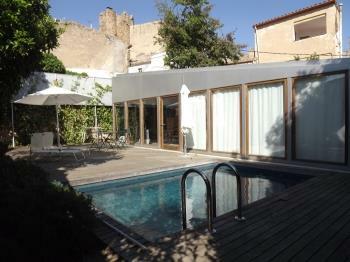 Modern house in the pedestrian area of the old town of Begur. Small semi-detached house on one level with the necessary elements for the vacation of a family of 4. Modern detached house with sea views and private pool. 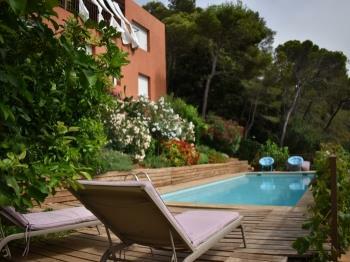 A modern and renovated property with a beautiful views of the old centre of Begur village and the Costa Brava. Beautiful house with private pool, sea views, near the center. 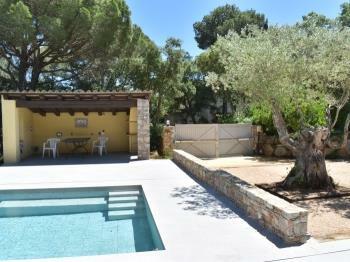 Large villa completely renovated, on one level, with private pool. Beautiful traditional style house located in the peaceful and prestigious urbanisation Casa de Campo. 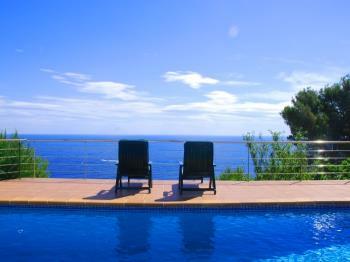 Spectacular villa built on a cliff south of Aiguablava with stunning sea views. Typical fisherman's house located 50 m from the beach of Sa Tuna. Beautiful apartment, with communal pool, sea views, near Sa Tuna. 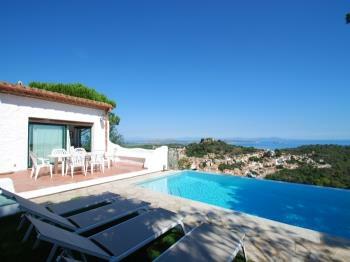 Fabulous villa with private pool, sea view, located 400m from the old town of Begur. 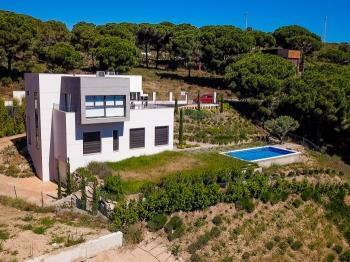 Fantastic semi-detached villa in a quiet community with communal pool on the Pals beach, near the Golf. Exclusive brand new property with private pool and sea views. 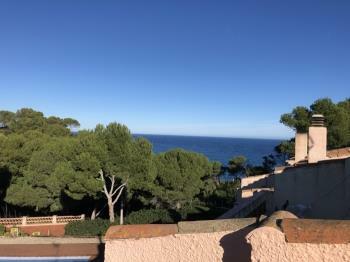 Contemporary designer property facing the bay of Sa Riera. 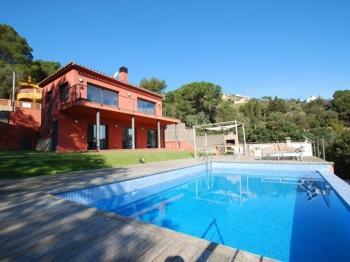 Practical and pretty villa with private pool near the beach of Sa Riera. Exclusive traditional fisherman's house, located on the seafront. Beautiful and practical detached villa, with private pool, located in the Casa de Campo. 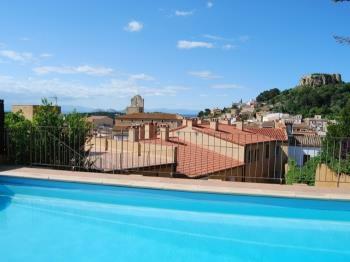 This apartment is located right in the centre of Begur close to a number of restaurants, bars and shops. 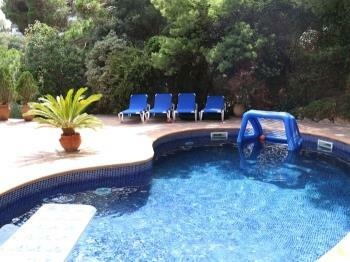 Practical two bedroom apartment, with communal pool, 1km from the Cala de Sa Tuna. 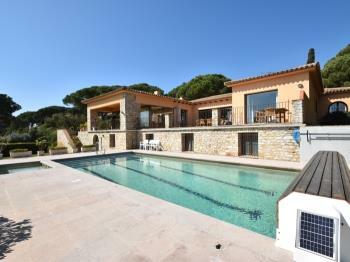 Terraced house, for 8 people, with communal pool and unique and wild views. Welcoming terraced house with communal swimming pool 200m from the beach Sa Tuna. 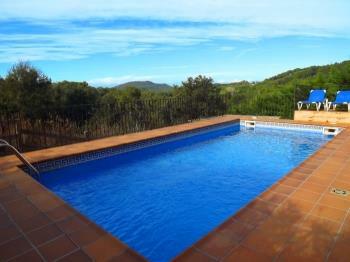 Traditional house with private pool, so close to the center of Begur. 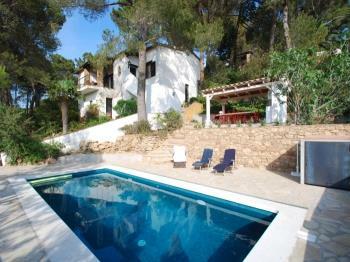 This elegant villa is located in Casa de Campo, a peaceful area of ​​Begur. Welcoming terraced house that stands out for its spaciousness, views and beautiful environment. 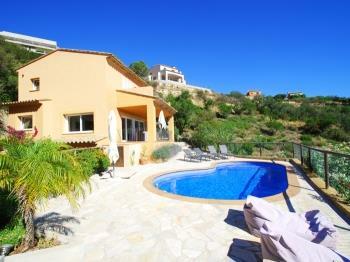 Beautiful terraced house with community pool and sea views. Formidable house with three bedrooms, shared pool, near the beach. Fully renovated property with pool in residential area. 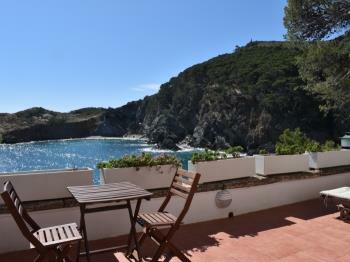 Private house with three rooms at sun 150m from the beach of Sa Riera. Pleasant villa with private pool. Terraced house with communal pool near the beach of Sa Tuna.